Nowadays the growing demand for optical capacity has fueled the development of long-haul optical network systems. As one of perfect solutions for higher bandwidth, WDM technology is widely applied for its multiple transmission channels. However, WDM only delivers raw capacity and the bandwidth needed to be managed by carriers: optical switches. This article will depict one kind of optical switch: all-optical switch in the following content. All-optical switch is a device that enables phonotic signals in optical fibers or integrated optical circuits (IOCs) to be switched directly form one circuit to another. It manipulates signals in the form of light, either by redirecting all signals in a fiber or by selecting signals at certain wavelengths in wavelength-division multiplexed systems. It is a lower-cost solution for there is no need for expensive high-speed electronics in the switching process. There are numerous technologies as how to implement light switching between optical fibers. One of commonly used technologies for developing an economically viable, scalable all-optical switch is micro-electromechanical system (MEMS). MEMS consists of mirrors no larger in diameter that are arranged on special pivots so that they can be moved in three dimensions (3D). Light from an input fiber is aimed at mirror, which is directed to move the light to another mirror on a facing array. Then the mirror reflects the light down towards the desired output fiber. As so many mirrors on a single chip, the cost per switching element is relatively low. All-optical switch is a lower-cost solution for there is no need for expensive high-speed electronics in the switching process by using MEMS technology. It can provide a 96% reduction in power consumption. It performs the same function as the OEO switches but features higher performance. All-optical switches can support 1000×1000 ports which are available in a space of two to four bays of equipment. 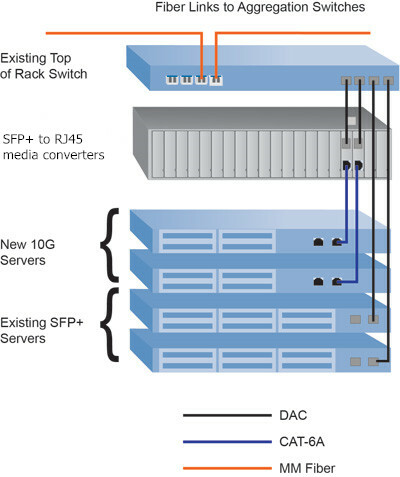 A 3D all-optical switches is even expected to support 8000×8000 ports in the future. 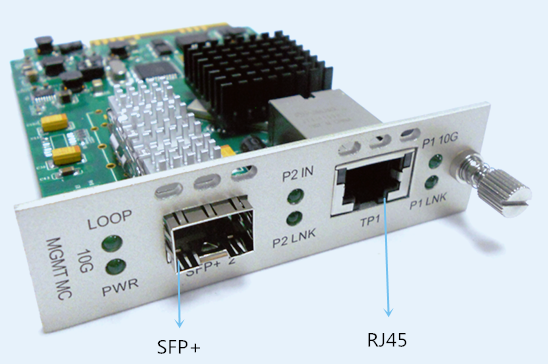 Thus all-optical switch makes the networks more flexible and even more dynamic. Fiberstore offers a wide range of MEMS switches with different configurations include 1×4, 1×8 and 1×16 configurations for single-mode or multimode fibers. Details information are as follows. All these solutions are highly against environmental variations of temperature and vibration with unmatched low cost due to its novel and unique design. They are tested in-house prior to shipment with commitment that they will reach the destination in perfect physical and working condition. For more information, please visit www.fs.com. This entry was posted in Fiber Media Converter and tagged all-optical switch, MEMS, MEMS optical switch on June 19, 2015 by Admin. Convert any VGA or Component video with audio into perfect HDMI video signal with integrated audio. Which means you can connect any computer that outputs VGA or another video player that outputs component video (red, green, and blue RCA connection). This converter contains a scaling capability which will fit numerous VGA and Component Video resolutions for your HDMI TV. This ensures easy set-up. You will never need to bother about fiddling around on your computer’s resolutions just to match your HDMI TV, just to change it out again when you need to use your computer monitor. This is simply not something we take lightly right here at FS. VGA to HDMI conversion has been one of the priority list toppers for us because we all know there are a number of people who require a reliable and simple solution that’s very simple on the wallet. After about a year of looking around and testing unit after unit, we’ve finally found one that is inexpensive and has got the job finished right if you are needing 720p. We’ve tested this VGA to HDMI Converter and it works very well. We take VGA to HDMI quite seriously, having tested many units throughout the last couple of years. This device has got the cost effective on the market, converting up to 720p perfectly without any bands of color, artifacts, or blips that other modestly priced VGA to HDMI scalers can occasionally have. Obviously, if you’re wanting 1080p with scaling, you’ll need to invest more than 3 times the money. Or you can take a look at the VGA to HDMI without scaling. Our engineers found this device to work perfectly, with no bands of color striping the picture, no artifacts or blips, just perfect 720p digital video reproduction of the analog source (VGA and component). A 2-second adjustment of the HDTV’s vertical and horizontal on-screen fixed any slight black border around the picture. SHOULD I GET THIS 720P SCALER OR A 1080P SCALER? The solution lies within what size your HDTV is. If you’re able to honestly identify the difference between 1080p and 720p on your HDTV, then get the VGA to HDMI with 1080p scaler. In general we’d recommend 720p scalers for HDTVs less than 37 inches. If you’re planning on reading text from your VGA computer on your HDMI TV, then 720p could also be preferred as it can make the characters big enough to read from across the room. As described in greater detail below, Scaling is when you are converting a video format and you will need to go to a new resolution. As an example, if your VGA resolution is 1024 x 768 and you’re converting to 1080p, you may need a scaler. We advise the VGA to HDMI with scaler which handles the job cleanly and perfectly with easily adjustable resolutions (that will actually fit your HDTV unlike another models we’ve tested). Scaling is when you are converting a video format and also you need to go to a different resolution. As an example, if your VGA resolution is 1024 x 768 and you’re converting to 1080p, you will need the VGA to HDMI with scaler. If you are attempting to decide regardless of whether you actually want to invest the extra money for the 1080p capabilities, maybe this helps. How big is your HDTV? If it’s 37 inches or smaller, chances are your TV either doesn’t even support 1080p or it does not matter as it looks virtually exactly the same, especially as you approach 32 inches or smaller. If you have not a 42 inch TV or larger, and you intend on by using this scaler to read text from your VGA source, 720p will in fact figure out well since the text is going to be larger. You’ll find yourself using 720p for reading normal sized text from across the room. If it’s mainly video that you’ll be watching and you’ve got a TV bigger than 37 inches, and you consider yourself a “videophile” or one the obsessively loves high definition, then the extra cash for a 1080p VGA to HDMI scaler is usually recommended. You may be wondering the reason why you will have to purchase a conversion box that is obviously more costly than your average little inexpensive passive adapter. The main reason lies inside the type of signal that is being transmitted. VGA (or Video Graphics Array) is purely an analog signal. There has been several successors to VGA (like SVGA, XGA, all the way to QXGA) but this only means the resolution at which the signal can be seen (QXGA supports a solution up to 2048×1536). HDMI however is a digital signal, using a DVI type of video signal (Digital Video Interface). So the major reason for the converter box is to translate an Analog signal to a digital one. We recommend you stick with one of the two VGA to HDMI converters talked about above. The below solutions still work well for specific scenarios and are worth mentioning. We recommend you choose VGA to HDMI Format Converter With Audio for converting VGA to HDMI. This box handles the work cleanly without artifacts or another unfixable problems. This box doesn’t scale, however. Which means that there are limited resolutions available. We tested it to display 1024×768, but better resolutions are most likely possible according to your VGA source. This method also permits the addition of analog stereo audio (RCA) that enable you to embed audio into your HDMI signal and also permits you to choose whether you’re converting an RGB (VGA style) or Component signal. This entry was posted in Fiber Media Converter and tagged fibre media converter, HDMI, VGA on September 27, 2014 by Admin. 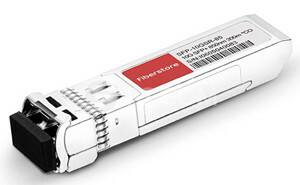 The PoE/PoE+ PSE Media Converter not only enables you to connect copper cables to long-distance fiber data links, it also safely powers compatible devices plugged in on the copper side. Fully compliant with the 802.3af Power over Ethernet (PoE) standard, the converter functions as power source equipment (PSE) to provide -48 VDC power via copper wiring to access points, cameras, and similar devices in areas without nearby power outlets. For equipment protection, it offers overcurrent and undercurrent detection, as well as fault protection input and power monitoring. It also has powered device signature sensing to detect when a 802.3af compliant device is connected downstream. Consumes less than 10 Watts (heating) plus PSE power IEEE802.3af Power to field <15.5 Watts. Input Specifications: 100-240 ±10% VAC, 50/60Hz, 0.5A to 0.2A. PoE+ Giga-basic: Consumes less than 10 Watts (heating) plus PSE power IEEE802.3af/at Power to field <50 Watts (2×24.5 W). Input Specifications: 100-240 ±10% VAC, 50/60Hz, 1.6A to 0.7A. 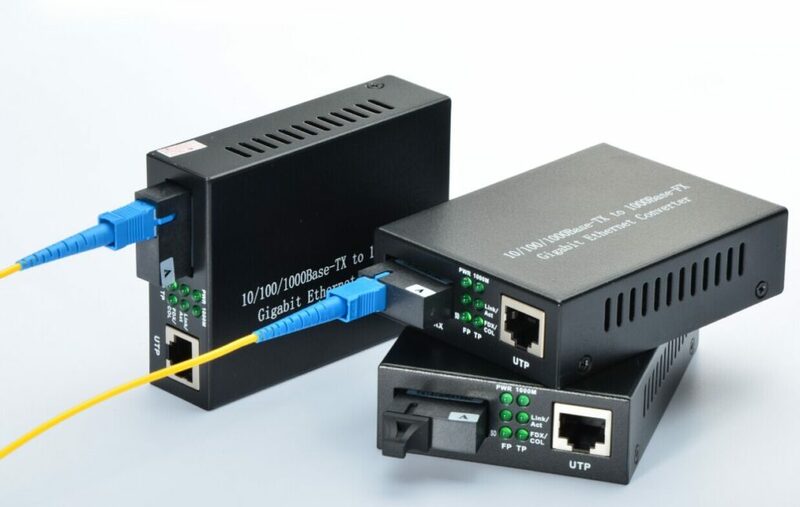 Because the converter is compatible with 802.3af PoE standard, it draws its power via UTP cable connected to a PoE PSE, such as a PoE switch. This setup makes the converter ideal for remote areas of a network without AC power outlets. Power over Ethernet (PoE) is a technology that allows both data and power to be transmitted over standard Cat5 copper cable. Power over Ethernet (PoE) is a flexible, cost-effective solution because it carries both data and power over the same Ethernet cable. That enables operators to install and power PoE-enabled remote devices anywhere and Ethernet connection is available. It’s perfect for wireless access points, video surveillance, security cameras, building management, retail video kiosks, and more, making it possible to easily install or move a device with minimum disruption and cost. This entry was posted in Fiber Media Converter and tagged PoE PD Media Converter, PoE+, PSE Media Converter on January 9, 2014 by Admin.